We integrate with all major e-commerce platforms and some bespoke ones too. Sage 50 and Sage 200 are the most widely used set of accounting packages in the UK. At its core, where Sage really succeeds is in accounting and business management. Beyond that, it often looks to add ons to pick up the slack in the other operations, like warehouse management. The one crippling mistake a Sage user can make, however, is handing over control of their warehouse management to a Sage 50 or Sage 200 add on. Working with Peoplevox, you'll have no worries that the final inventory figures you see in your inventory are accurate. Integrate Sage with Peoplevox and you'll be able to see exactly how that figure was reached. Completely transparent, fully accountable and managed with ease. When Peoplevox and Sage work together, it brings you peace of mind. Peoplevox's Warehouse Management System (WMS) updates inventory figures in real-time. This means that the number of items that you see on the system against each SKU is always going to be accurate. No more overselling. Through the use of intelligent barcoding, Peoplevox's WMS automates the updating of inventory figures. Every time an item is scanned and moved to a different area in the website, the figure is updated on the system. Peoplevox integrates perfectly with Sage, making sure that your warehouse is as accountable as all of your other bsuiness operations. But our solution does more than just that; it improves the way that your fulfilment processes work. Our WMS will help you to increase efficiencies, improve picking accuracy and eliminate human errors across the board. An add on is exactly what it sounds like - an addition to a core piece of software. With the warehouse being such an integral part of any eCommerce business it deserves more than a simple addition. Simply put, an add on is a seemingly cheap solution that will not be able to offer the kind of service that gives your customers the best experience when buying. 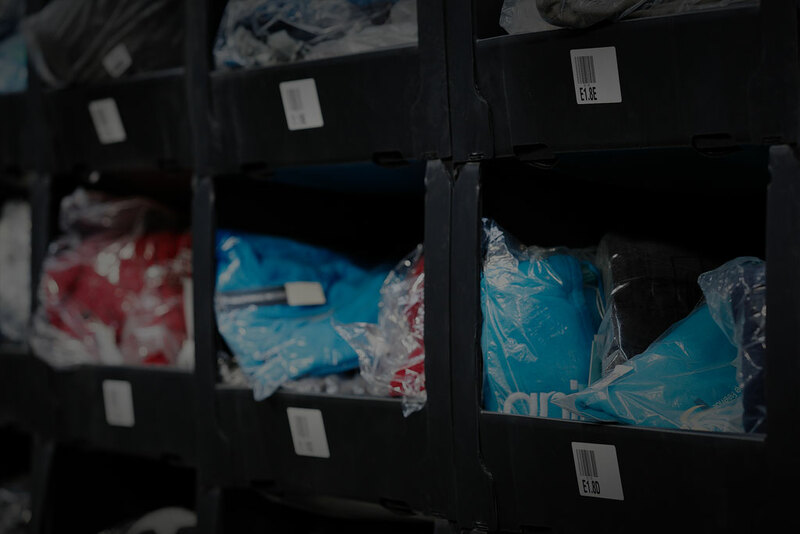 A client of ours in the skate sports and apparel industry, initially used the Sage 200 warehouse add on but with up to 9,000 orders coming in per day, the software struggled to update the website and marketplaces. The back end processes were very restrictive, limiting the warehouse operators to very basic pick routes that greatly impacted efficiency and was just not scaleable. In fast-fashion, the returns rate averages anywhere between 15-25%. With a warehouse management system designed to provide for eCommerce, having a dedicated returns portal makes handling them much easier. Returned items can be scanned against the sales order and, depending on if it’s suitable for resale or not, it can be put back into the available stock or quarantined. A year in eCommerce is full of peaks and troughs. For a fast fashion company, for example, the summer months often see an increase in orders and so more warehouse staff are required to offer the same excellent customer service as any other time of the year. With a Software-as-a-Service (SaaS) system dedicated to warehouse management, user licenses can be increased or decreased when necessary and retailers only ever pay for what they need. One of the most important factors to consider when choosing a warehouse management system is whether the user interface is simple enough for new operators to pick up quickly. With a sage warehouse add on, the typical solution is to use terminal emulation which transfers a computer terminal’s screen on to a handheld device. Much like viewing the desktop page of a website on a mobile phone, this emulation can look very messy and hard to follow. Tracking productivity in the warehouse is not only a good motivational hack for your employees, it also gives you an overview of stock movements and order status. With dedicated warehouse management software, you should have full visibility on how many orders have been picked per person per hour, how fast goods in has been received, and what status each order is currently at, ie. partially or fully allocated. Get in touch to find out how Peoplevox can work with your existing systems. What is a Warehouse Management System, and why do I need one? How is your integration with Magento built? How does Peoplevox work with my existing systems? How long does it take to implement Peoplevox with Magento? I don't have magento setup yet, does that matter? How often is Peoplevox updated?